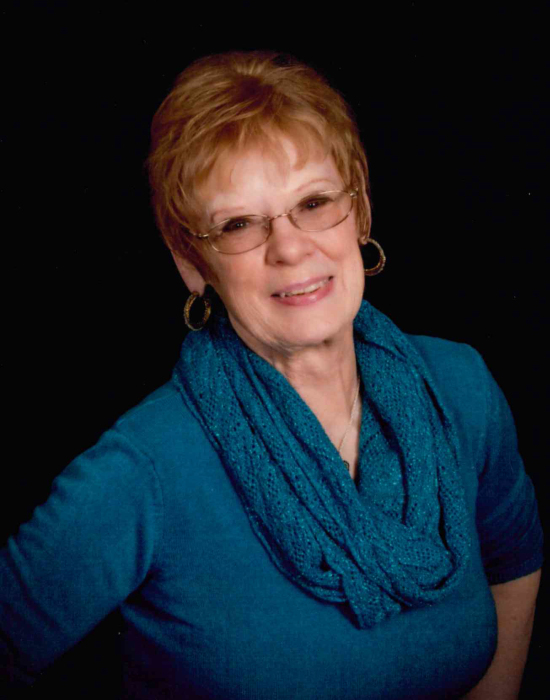 LaVonne Marie Schwab, 73, passed away peacefully on July 3, 2018. Services will be held at 10:00 AM CDT on Monday, July 9, 2018 at St. Martin’s Catholic Church, Hazen, ND with Father Kenneth Phillips officiating. Burial will follow at St. Martin’s Cemetery, Hazen. Visitation will be held from 5:00-7:00 PM CDT on Sunday, July 8, 2018 at St. Martin’s Catholic Church, Hazen. LaVonne was born in Hazen, ND on December 29, 1944, the oldest of four children of Darhl and Pearl (Benjamin) Cahoon. She was raised and educated in Pleasant Valley and graduated from Stanton High School and Christy’s Beauty School, Bismarck. She became a member of St. Martin’s Catholic Church in 1965. On January 4, 1965, she married her loving husband, Al, at St. Martin’s. Together, they farmed for a few years before moving to town where LaVonne was busy raising their children and being a housewife. Since 1975, she has been a dedicated employee at Roughrider Motor Inn in Hazen. LaVonne and Al formed Schwab Supply Inc.-Explosive Distributor in 1985, where she was also a part-time employee. In 1999, they purchased and currently operate the Roughrider Motor Inn, where she worked very hard to respect and treat her guests like family. LaVonne was an active volunteer in the church with the Alter Society, CCD teacher, and the ProLife couple for the Hazen KC council. In the community, she was active with the Lion’s Club and Boy Scouts. While growing up on the farm, LaVonne, enjoyed horseback riding and taking care of the animals. With her family, she enjoyed spending time in nature, fishing, boating, camping at the lake, gardening and traveling. She was an avid reader and enjoyed listening to country and gospel music. She relished her time going to the casino with her mom, Pearl. LaVonne was a gifted artist, always working on an art project. She enjoyed sharing her love of art with her family. She enjoyed decorating for each holiday and displaying her snowmen collection at Christmas. LaVonne’s creativity touched all who were blessed to know her. She treasured her time with her children, grandchildren, and great-grandchildren. LaVonne is survived by her husband of 52 years, Al; her six children: Jackie (Kelly) Neuberger, Hazen; Jeff (Jane) Schwab, Thief River Falls, MN; Julie (Steve) Kraft, Center, ND; JoAnn (Dana) Rathjen, Beulah, ND; Jerry (Beth) Schwab, Bismarck, ND; Justin (Cristal) Schwab, Bismarck, ND; grandchildren: Jessica and Kassondra Neuberger, Camryn Schwab, Kirby, Jake, Danny and Katie Kraft, Codi Maas and Alex Rathjen, August and Adeline Schwab, Alyssa and Jase Schwab; great-grandchildren: NeeKa, Jaxon, Jakoby, Brady, Bentley, Brilee, Brayson, Braxtyn and Bayleigh; her mother, Pearl Cahoon; brother, Wayne (Peggy) Cahoon; two sisters, Delree Kilber and Deb (Don) Carr; aunt, Loretta (Cahoon) Beckman; brother-in-laws, Terry (Kay) Schwab and Eddie (Betty) Schwab; sister-in-laws, Chris (Glenn) Sommer and Henri Berger; and numerous nieces and nephews. LaVonne was preceded in death by her father, Darhl; father and mother-in-law, Jake and Adeline Schwab; sister-in-law, Caroline Schwab; brother-in-law, Robert Kilber; and great-granddaughter, Clarrene Bladow. To honor LaVonne’s love of animals, the family requests that memorial donations be made to the Humane Society.